Spanish Express is proud to offer courses in our fantastic school in Murcia. Murcia is situated on the south-east corner of Spain, boasting a beautiful coastline and a city full of historical and cultural delights. Murcia has it all; mountainous areas, coast, vineyards, green stretches and a buzzing city centre, making it the perfect new home to study Spanish! Our school is in a very central location, right next to the university and the Cathedral, so transport links will be easy to arrange once you arrive! Also, our school is fully fitted with free WiFi for all students. Our teaching ethic is one that is interactive and engaging. Our teachers have over 20 years of experience and want the best for you, tailoring each course for their student’s skill-sets. Our intimate school in Murcia offers a wide range of courses, as outlined according to the Common European Framework of Reference for Languages. You’ll be spoilt for choice! Spanish Express Murcia offers a range of courses which focus on advancing your Spanish skills from whatever level you may be. Depending on how much time you would like to commit, and the style of learning, various courses could appeal to you for different reasons. All of our General Spanish courses are designed with you in mind, so have a look at each one! Intensive 20: This is our most popular course. It consists of 20 lessons per week – four a day from 10:00am to 1:30pm (subject to change). Lessons cover a range of topics mainly focusing on grammar techniques. You can choose to study with us from a minimum of 1 week, up to 36 weeks, and we offer this course to all levels. Intensive Plus 25: This course is designed to target the issue of fluency which is common when learning languages, and with increased class time we are certain you will smash through this obstacle. This course is designed with the same format as the Intensive 20 course, but offers an additional daily lesson to really perfect Spanish grammar and vocabulary, and add extra conversation opportunities. Erasmus+ Course: This course is designed for students and au-pairs who need a long term solution for a language barrier. Our intensive 90 minute classes are recommended 2 or 3 times a week to ensure that you learn the most you can whilst here. We can offer classes in the morning or the evening, depending on your level. This is a group course, to replicate the conversational situations you need training for. Long-term Spanish: This course is designed for those who want to really engage with the language for an extended period of time. This is an ongoing course, with a minimum booking time of 12 weeks, which can be extended up to a full academic year. It consists of 20 lessons per week. Our course follows the curriculum recommended by Instituto Cervantes, and therefore can be trusted to teach you the ins and outs of Spanish! 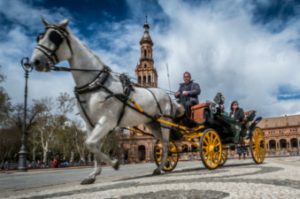 Immersion course: Our immersion course offers a rapid solution if you’re looking to learn more Spanish, and also more about Murcia and Spain! This course consists of 40 one-to-one lessons per week, and is available for maximum 2 weeks at a time. 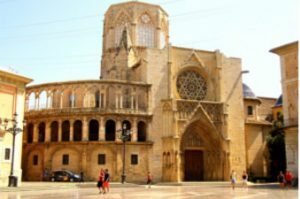 It also includes cultural guided visits around Murcia. Private Tuition: Similar to our other schools, private tuition remains the most flexible and efficient way of learning Spanish. All classes are tailored to the student’s needs. Please contact us to discuss your private tuition course. Spanish is the 2nd most spoken language in the world, and therefore makes a great alternative language to learn in the world of business and employment. More often than not nowadays, employers and companies are looking for additional languages as a fundamental skill for candidates. Stand out from the crowd and join one of our professional courses! Spanish Teacher Training (ELE): Become a Spanish teacher and take this new career path with our specialised ELE course. This consists of 95 hours training, 60 of which are practical and in the classroom with students. We feel that this is the best approach for learning how to teach students. Our ELE course is individual based, therefore your tutor is dedicated to you. C1 minimum required if Spanish is not your first language. Spanish for Business:Our course combines group classes and one-to-one tuition to cover topics ranging from HR, IBEX 35 and marketing. We are positive that this is the best way to nail tricky and specific vocabulary regarding the world of business. This is available to levels B1 and above, and includes 30 classes per week. Spanish for Flight Attendants: Go up, up and away with your Spanish skills with our specialised course for flight attendants. This intensive course includes 6 classes per day, and lasts 2 weeks. This ensures a high quality standard of learning. A2 level Spanish required. Gaining a qualification in Spanish is a valuable asset to your CV and we are here to help you achieve this! Take a look at our courses below and see which one is right for you. DELE: We boast a 99,37% pass rate for our DELE program! Our tutors are official DELE examiners, and therefore can prepare you for this exam which is accredited by the Instituto Cervantes. Our course consists of 25 lessons per week, lasting from 2 to 12 weeks depending on your choice. A Level: Prepare for your Spanish A Level with us, and you won’t miss out! We have a fantastic course designed to equip you for the exam and for speaking Spanish at an advanced level. Our course consists of 25 lessons per week, and can last from 1 week to 36 weeks. Au-pair service: Spanish Express can help you find the right family to au-pair with. We are not an agency, so you will find our service a lot cheaper. Included is a 2 week intensive Spanish course. All of our au-pairs receive 70 euros pocket money per week, and all their living costs are included except for travel. 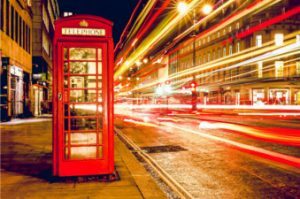 Teaching Experience: Would you like to teach English in Spain? Here is your chance! We offer a great course which includes and intensive Spanish course, but gives you the chance to become a language assistant in a local school. Included is accommodation, weekly activities and living expenses. No TEFL is required, but teaching experience may help your application. Work Experience: If you’d like to learn Spanish whilst working then this could be for you. We have partnered up with local companies to offer a 3 to 6 month work placement, and a 4 week intensive Spanish course. This is a great option for students to complete in their summer break, or if you’re looking for a gateway opportunity into Spain. This is arranged on a client-by-client basis, so please do contact us for more details and to make your experience specific to your needs. Spanish & Internship (FREE! ): This internship is regularly offered to students looking to learn about the ins and outs of language schools from a business perspective. Advanced Spanish skills required, please contact us for further details regarding this course. Our accommodation solutions are designed to make your time at Spanish Express Murcia even more stress-free! Either stay with one of our host-families, and absorb the culture from your own home, or settle into our student residences in Murcia. Contact us for further details about accommodation choices.